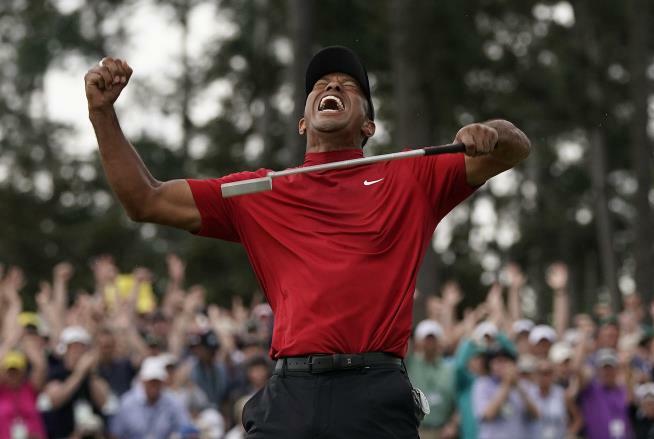 (Newser) – No sooner had Tiger Woods won the Masters than Nike was out with a nostalgic ad celebrating his greatness over the years. At the Wall Street Journal, Jason Gay worries that it's a sign we're about to make the same mistake all over again with Woods—mythologizing him into a superhero. That's a big reason his fall was so spectacular: A larger-than-life figure was felled not just by personal misdeeds but by the physical breakdown of his body. Then, a funny thing happened: Woods became human. "After setting impossible standards, he grew accustomed to failure," writes Gay. "He failed in small ways and spectacular ones. He began to show a little self-deprecating humor (!) and humility (!)." Woods readjusted his goals to modest ones, like playing without pain, and "in the tiniest way ... he became like the rest of us." oh just shut up already... this windbag's op ed got it fundamentally wrong. It's just a stinking Nike commercial...stop over thinking it...they're selling tennis/sports shoes using "winners"...nuf said.